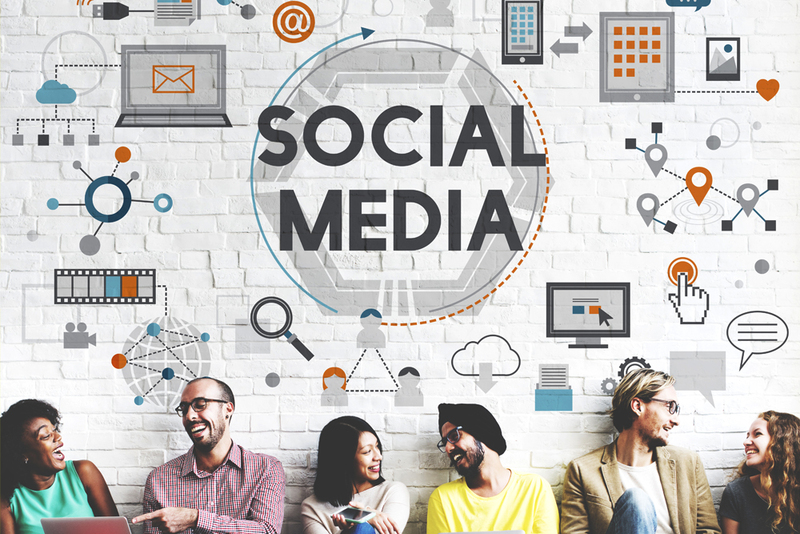 So you think you’re highly skilled in the art of social media use? After all, you were an early adopter of Facebook, and you have every Facebook hack memorised. Twitter? No match for you, since your tweets are flying out faster than your followers can read them. Snapchat almost had you beat, with your best work disappearing after 10 seconds, but once you embraced the Story feature, you couldn’t be stopped. Well, prepare yourself for a whole new approach to the social realm, Mr or Mrs Savvy Social user, as your comfortable position in the media world is about to be disrupted. 2016 is quickly becoming a year of change for the normal social platforms, as video and live streaming are starting to play a major role in how we socialise these days. And, the plethora of visual content continues to expand. This means you may be more privy to full-fledged live broadcasting soon, as opposed to the basic shared quotes you pass around between your friends. There are even those who don’t encourage the vast exposure of which you’re a fan of. So, socialising – in a confounding turn – may even end up becoming less publicised. Whatever stance you choose to take in the social environment, there are five ways the future of personal sharing and marketing may uproot your current understanding of it all. 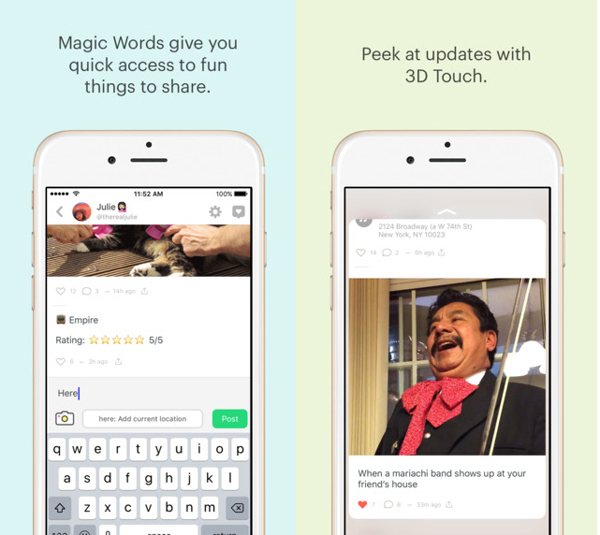 The Peach App, the brainchild of a cofounder of Vine, has led a very short existence in the world of social apps. In fact, many are already calling it ‘dead’ in the tech space. However, some of its features are looking to be reborn in other social networks that have enjoyed its new ideas enough to potentially spawn their own similar concepts. For instance, the ability to perform searches or share options with the touch of a single-typed letter was favoured among Peach users. This might turn into a mainstay option among the social giants. Shortcut searching techniques are always appealing to users who approve of fast and easy posting methods. We can probably assume these features will be appearing more frequently amongst the majority of other apps. Posting GIFs is also turning into a beloved trend, as videos and visual content have always been more responsive with consumers. Perhaps Peach was never meant to be a huge contender in the app world, but simply a go-between for forcing change in the already burgeoning social struggle. Whatever the reason, 2016 may be the year Peach’s introduction may cause a stir and create change. Twitter users aren’t new to the concept of sharing GIFs. In fact, they would even go through the process of saving and downloading them, uploading them to Twitter and finally posting them. This proves just how far fans of GIFs were willing to go to make them work properly. So finding an easy solution will simply strengthen the GIF wave on any network. The advent of Giphy and Riffsy, two databases designed as GIF search engines, has made it easy to apply GIFs to your posts, reinstating the rise of the visual content as a major force in the social industry. Twitter has already formed a partnership with these new developers, and surely more of the bigger platforms are soon to follow in their footsteps. After all, conversion rates jump at a whopping 103% due to GIF use. Facebook, after introducing GIFs on their Messenger app, will probably be quick to jump on the GIF bandwagon with more of their features in the near future. However, they have made a change to their network already this year with their new reactive emojis. Emojis may not be a new ticket item on the social media menu. However, these new, larger, and more entertaining faces have received quite a warm welcome on Facebook. You can now ‘love’ people’s posts with a colourful pink heart, not simply ‘like’ them. Or, you can post the normal yellow-circled faces with elevated expressions for a more impactful reaction to others’ posts and opinions. While people can already post quotes or small headlines of their daily lives and experiences, they want to be able to do more. This led Twitter to the idea of increasing their 140 character limit. But, it didn’t happen. 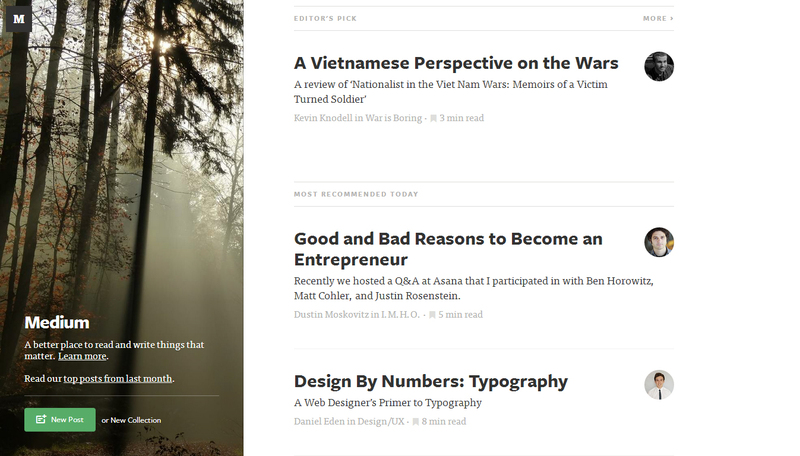 Meanwhile, the formation of blog platforms is gaining a lot of interest these days. Giving users the ability to write and post entire articles has caused an influx of attention to the concept of writing longer, more detailed postings on their newsfeeds. Medium, a platform following this innovation (created by a cofounder of Twitter, in fact), gives users just this ability. And, it will likely catch on as the initial sites continue to thrive. People like Bill Simmons, a former ESPN broadcaster, could create sites like his startup sports news project “Grantland” (which has sadly already met its demise), intent on posting and sharing more extensive content. After the end of Grantland, Simmons is now preparing to develop ‘The Ringer’, a website with a larger scope suited to promote the idea of blog-publishing on its own social platform. 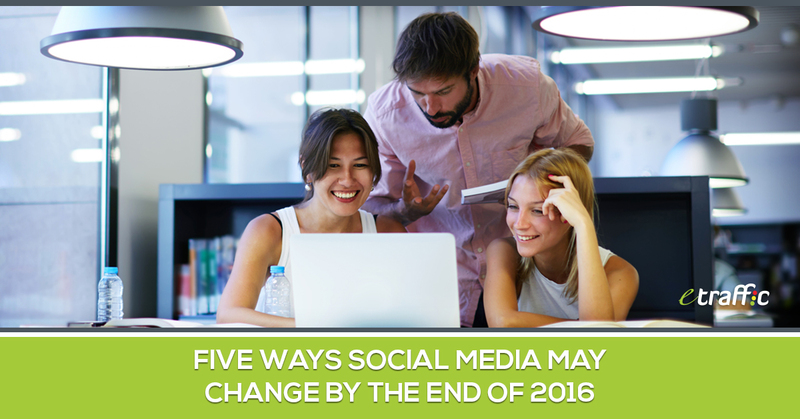 The response to early go-getters may spur the onset of more by the end of 2016, once again causing another change-up in the social media industry. People enjoy the aspects of sharing content and personal anecdotes with their friends, but many have gotten over to the wide expanse of circulation they get out in the social atmosphere full of strangers. Therefore, ‘anonymous messaging’ is gaining traction faster than you may expect. 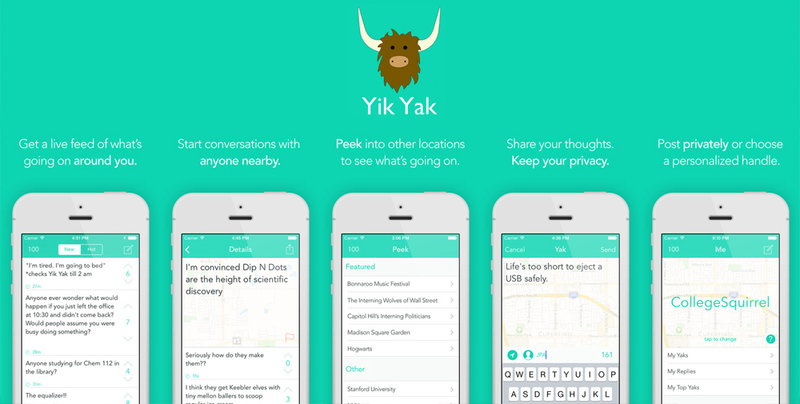 Apps like Yik-Yak, Blindspot and others are taking off, demonstrating just how quickly this trend may start to pick-up speed. So, despite your current hierarchy in the media market, be prepared to have your high authority challenged as these new innovative approaches to social use make their way into the field before the end of the year.